You probably think of bubbles as delightful —whether in your drink or being created by little kids. However, there’s waaay more to bubbles — their power can be harnessed in scientific fields including medicine. Brandon Patterson, a PhD student in mechanical engineering, lets us know what’s poppin’ in the world of bubbles. Yearning for something more extra-terrestrial? Dr. Tim Chambers — who works on science education, both locally as a teacher, and with organizations like NASA — fills us in on exoplanet research. Astronomers have found thousands of planets beyond our solar system — what might we learn about and from their discoveries? And what’s still unknown? Grab a friend and a drink (bubbly or not! 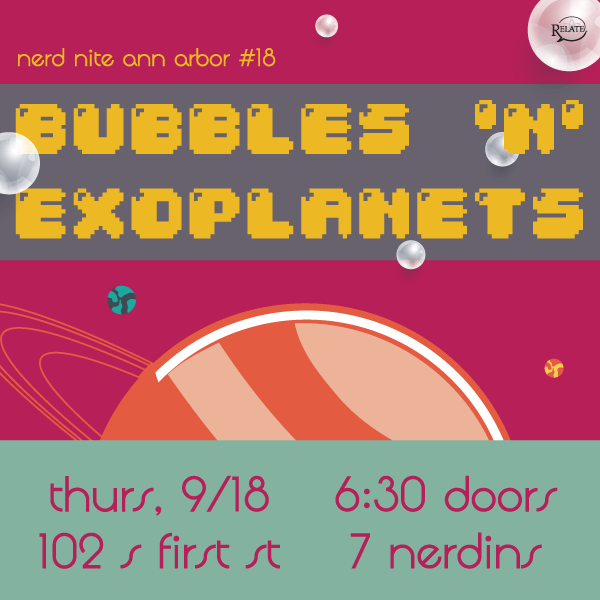 ), and we’ll see you for the next Nerd Nite! When: September 18th, 2014, doors at 630pm, talks at 7pm! Everyone knows that bubbles delight children, clean dishes, and add the fizz to champagne. But it may surprise you to find out that they can also wreak havoc on ships, deliver cancer drugs to the brain, and break apart anything from steel to human tissue. 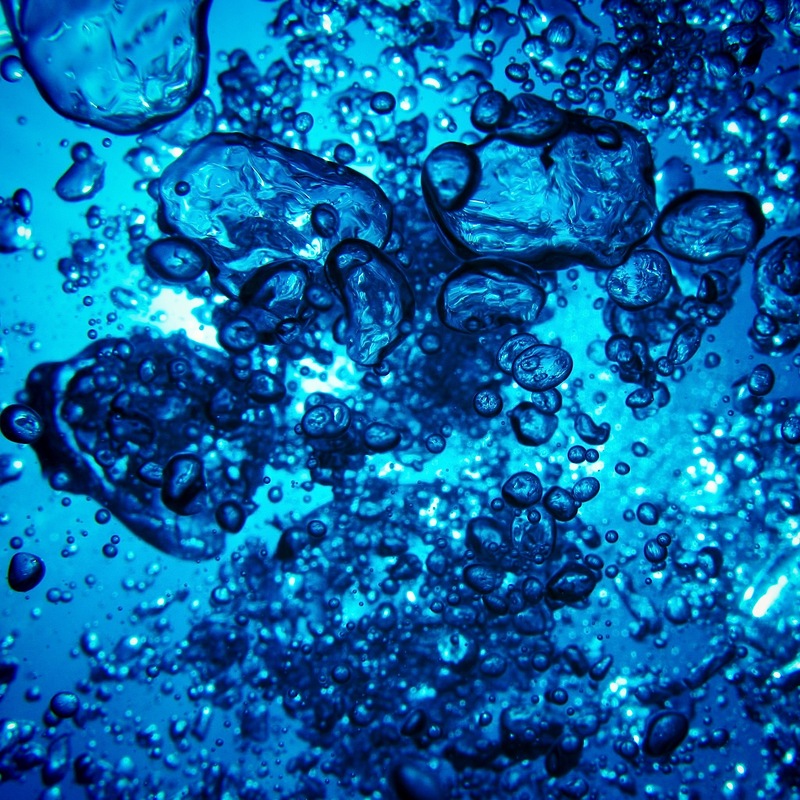 During this talk we’ll step into the wonderful world of bubbles and take a look at how scientists are trying to use ultrasound to trigger carefully controlled bubble collapses and explosions in the body to fight cancer, kidney stones, and other ailments. Brandon is a cheerful and curious fellow, haphazardly wandering through life as he tries to figure out how the world works. For now his wandering has brought him to the University of Michigan to pursue a Ph.D. in mechanical engineering, studying how bubbles collapse and explode in tissue. When not playing with bubbles, Brandon enjoys biking, reading, tinkering, and arguing. In the past twenty years, astronomers have detected thousands of planets outside our solar system. In this talk, you’ll learn about the techniques scientists use to discover exoplanets and study their properties. 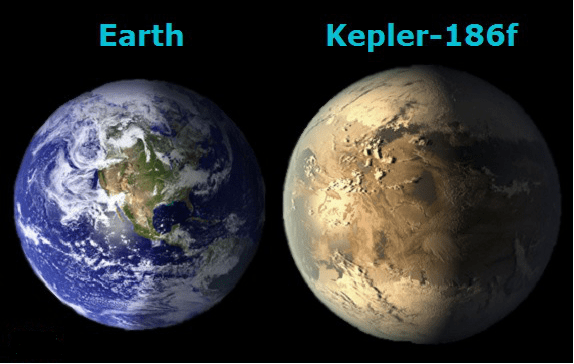 You’ll also see some of the unusual findings of exoplanet research so far, and what questions astronomers in the field are currently trying to answer. Tim earned a PhD in physics at the University of Arizona, but bleeds Maize and Blue from his years as an undergrad in Ann Arbor. He is currently dividing his time between teaching high school and developing educational materials for NASA and other space science organizations. Outside of work, he can be found brewing beer, slaying dragons, or rocking out.